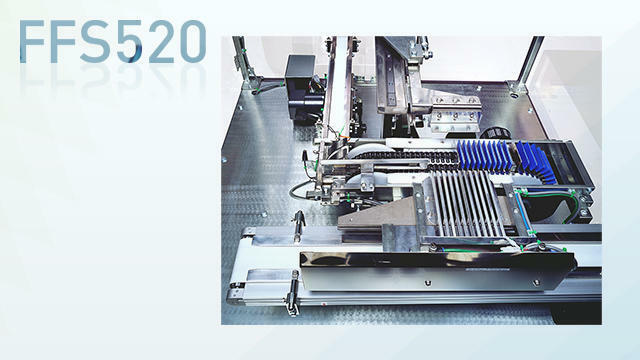 It is high speed integrated processed by a computer control FFS520 | Inline Feeders | FUJI MACHINERY CO.,LTD. A computer controlled bucket-type accumulation device. When it reaches the set number of products, they move on to the following process, during which time the dispenser receives more products, enabling high-speed accumulation. Up to 250 rpm *Differs depending on the inflow amount and product shape. This device accumulates products that come from the previous process individually and dispenses them to the following process without interrupting the line flow. *Contact FUJI MACHINERY about the product shapes and dimensions.